With HarperDB for Healthcare, providers can quickly gain the insights necessary to make their organizations more efficient while also improving patient care. HarperDB is ideal for addressing the common pains in healthcare data, like integration of varied data sets and system. Make your team innovate faster with simple powerful solutions. Ensure data security within your organization’s network by installing HarperDB on-premise, with the freedom to choose your hardware. With HarperDB your data is available to you through our REST API or native drivers all in real-time. Make your data more intelligent by controlling where it lives. With the HarperDB dynamic schema, developers can quickly and easily pull together data that is currently isolated in multiple systems. Centralize data from across your organization in a single, centralized source. HarperDB can be connected to your new or existing intelligence tools to maximize the value of your resources, increasing ROI and improving patient care. With HarperDB, developers can focus on updating application code to respond to regulatory updates without getting bogged down with database configuration and maintenance. No ramp-up time is required because your team is already familiar with HarperDB’s interfaces: SQL and NoSQL. A large scale hospital system ran a pilot program to gain valuable insights into their inpatients’ experience at the hospital, to increase resource utilization and improve the quality of care. The hospital system was looking to invest in IoT technology to gain deeper insights into every aspect of their organization. 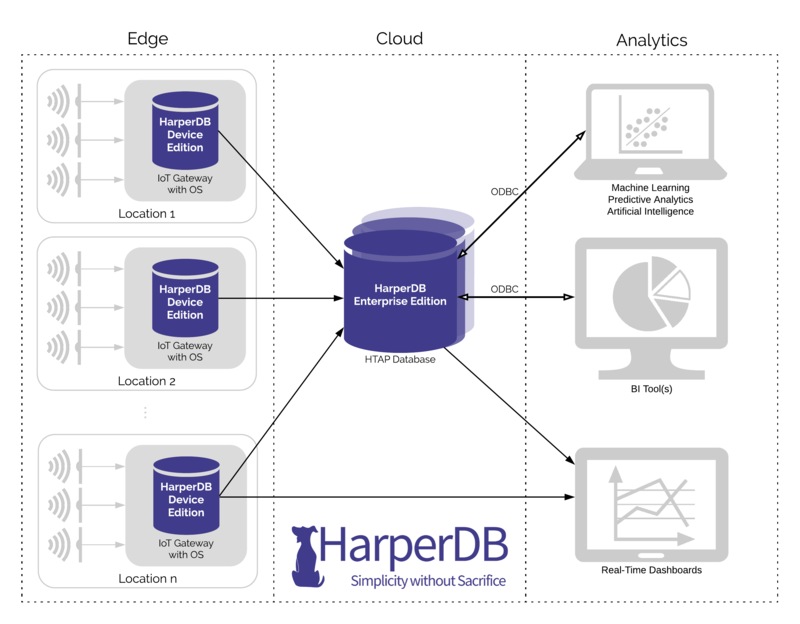 HarperDB was selected because it is easily deployed within a hospital environment, can convert real-time unstructured sensor data into structured actionable data for analysis, and can replicate data from the edge to server. Wearable devices were deployed across different hospital units to gather real-time data. Edge devices were installed in various units to gather data from wearables, then data was replicated to more powerful servers for advanced analytics. Doctors and nurses could better respond to patients' needs with the ability to monitor their status from anywhere in the hospital. Gain valuable insights from your healthcare data. Try the Enterprise Edition for 90 Days, for free.